Seekonk High School's literary magazine Paper Cuts is done! It includes all different types of student writing. Be sure to get a copy! Its that time! September will be here before you know it! You must see Mrs. Salisbury if you are interested in trying out for the team. Actual tryouts are scheduled for June 1, June 2, and June in the gym from 3:15 - 5:00pm! School Year Memories - Photo Access! 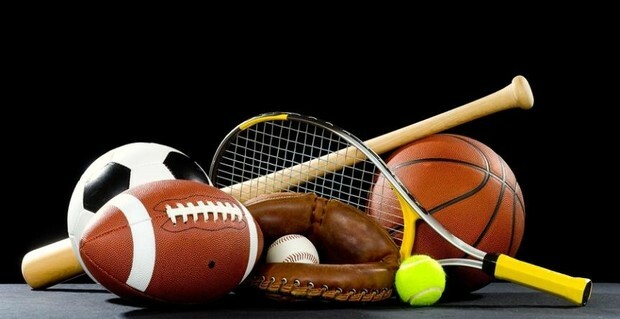 Did you know that your sports and events images from this school year are available online? Just go to this website, enter your email address, and the password seekonk to see the amazing collection of images! You can even purchase some of your favorites! 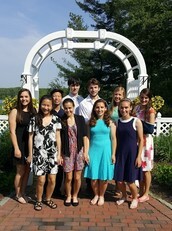 Top Ten Students and Unsung Hero Recognized at Luciano's on Lake Pearl! 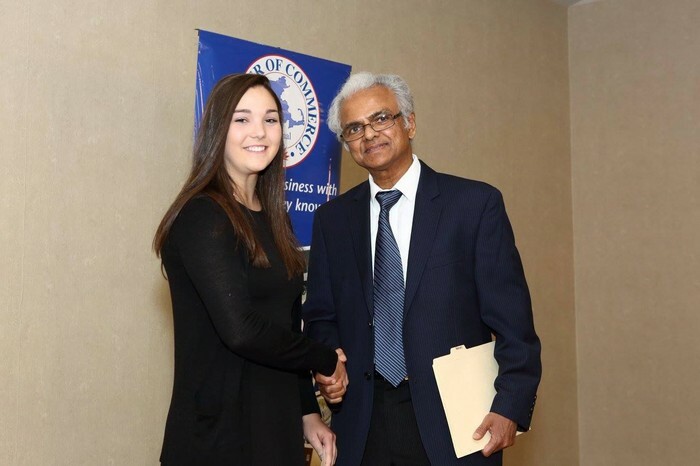 The United Regional Chamber of Commerce held a breakfast ceremony on Thursday, May 26, 2016 to honor Seekonk High School's top ten academic students as well as an unsung hero. 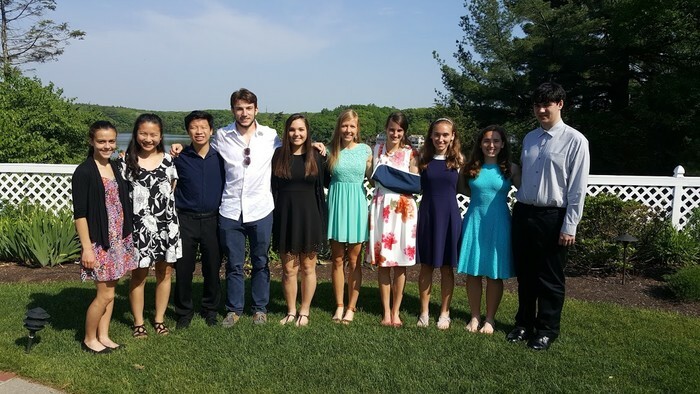 Students Lauren Abbott, Dylan DeAmaral, Anthony Heng, Ankit Kotwal, Abraham Masse, Jessica Moszkowicz, Bethany Murphy, Anne Silveira, Kathryn Silveira,Barbara Wang, and Katelyn Leclerc were those honored. They have made their families and Seekonk proud! Be sure to let them kow when you see them. Congratulations! 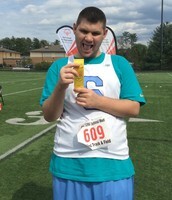 Seekonk High School Unified Sports Wins Big! 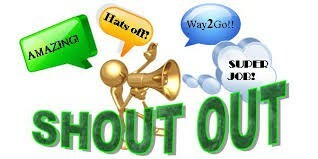 Congratulations to all those who have contributed to the success of this new team! Please take the time for a moment of silence this weekend. Let your thoughts wander from picnics and barbecues to those brave men and women who have gone before us so that we might continue to enjoy the freedoms of this great nation. Do something to consciously think about their sacrifices. Fold a flag, say thank you to a veteran, display pictures of lost ones, or visit a grave. Any act, no matter how small may make an enormous difference to someone else. It may even change you. Senior Award night (Class Night) is almost here! Make sure all of the seniors show up. There are few things more embarrassing than receiving an award and not being present when you are announced. It starts at 7:00PM, but all seniors should be at school and in their gowns by 6:30! Be there! Seekonk High School Graduation 2016! Don't miss the celebration! Seniors will be taking that last walk at 6:30pm on Friday, June 3, 2016! graduates have to be at the school at 5:45 for any last minute adjustments. 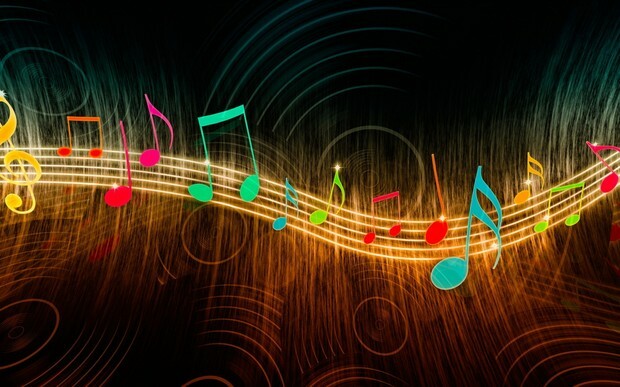 Friday, June 3- Graduation, 6:30 pm- All Symphonic and Concert Band members. We anticipate that we will be offering some summer lessons here once again and may have openings for Senior or Junior students to work as instructors. We will also be offering community service opportunities in the Music Department as well. See Mr. Smialek if you would be interested in one of these possible positions. 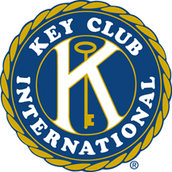 The SHS Key Club has continued to keep busy during the second semester. 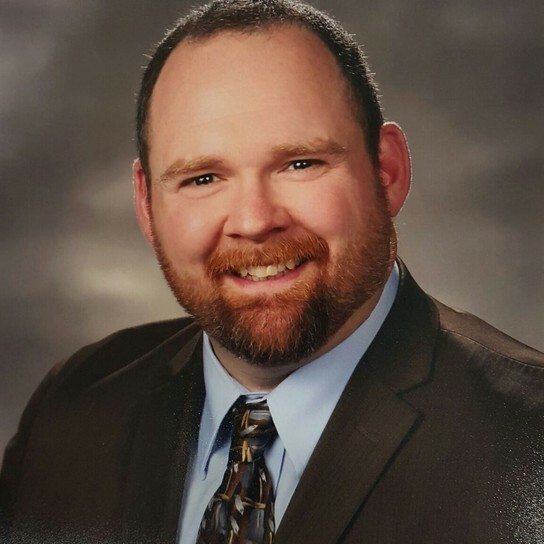 Members have volunteered at events such as the Aitken Elementary Sweetheart Dance, the Kiwanis Taste of the Town, and Aitken's Evening of Giving. They held a Pennies for Patients collection and last Friday, they "Put a Cap on Cancer" and collected $40 from students who paid $1 to wear a hat for the entire school day. The money will be donated to cancer research. But most importantly, the club hosted another successful Easter Egg Hunt! Members spent time filling 3000+ eggs, and working at different stations on the day of the hunt. The club would like to thank everyone who made this event successful and fun for all the children. At the last meeting, the club thanked their seniors for all of their hard work and dedication over the past four years. A new Executive Board was elected for the 2016-2017 school year. Special thanks to Mrs. Marinucci, the EBoard, and all the members for their service during this school year. 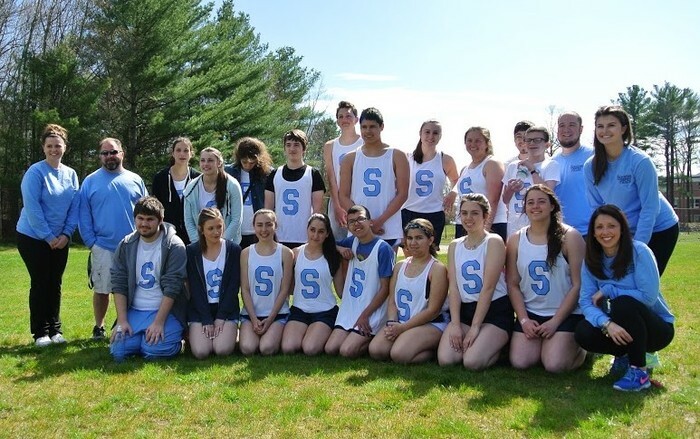 A special thank you to Mrs. Colleen O’Halloran and all the members of the Seekonk Boosters Club for sponsoring this week’s “Senior Athletic Banquet.” Senior student-athletes were honored and recognized for their achievements. Congratulations to Jake Trenteseaux and Katie Silveira who were named this year’s “U.S. Army Reserve Scholar Athletes,” and to Zach DeBlois and Jessica Moskowiecz who won this year’s “U.S. 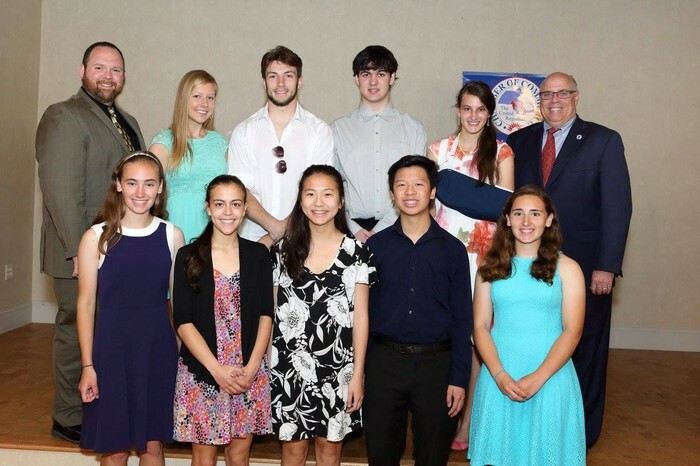 Marine Corps Distinguished Athlete Award.” Other winners were: Abe Masse and Anne Silveira (“Seekonk Student-Athlete Award”), Brendan Smith and Allison Pereira (“Athletic Warrior Award”), Matt Broadmeadow (“Richard L. Dias Award”), Kate Leclerc (“Karen Stone Award”), Jenna Smith, Erin Langlois, Emily Ferreira, Bethany Murphy, Eric Smith (“Athletic Director’s Awards), and to Emma Sanders (“Principal’s Athletic Award). 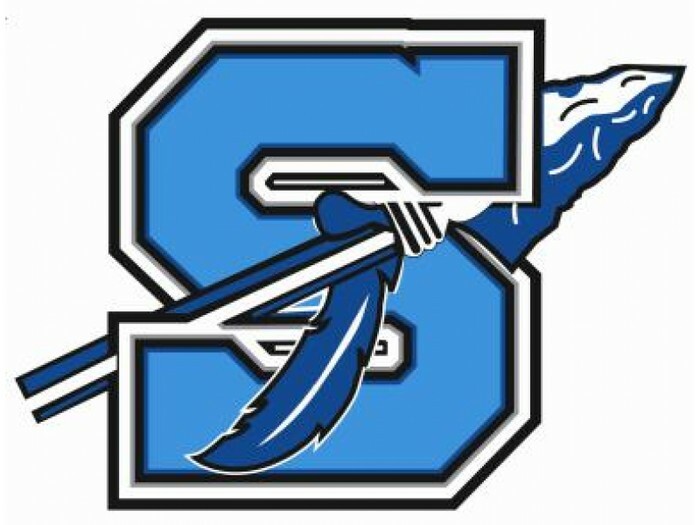 The Seekonk Lady Warriors Softball Team ended their regular season with a thrilling 5-4 extra inning victory over Tolman High School. The team finished up with a 10 win-8 loss season and have qualified for the Massachusetts State Tournament. Tournament seedings will be released this Tuesday. 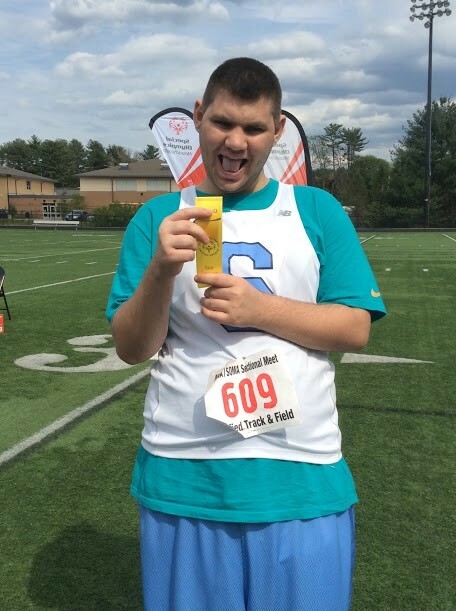 Last week the Seekonk Boys Tennis team defeated Apponequet High School in fine fashion 5-0 at a match played at Seekonk High School. 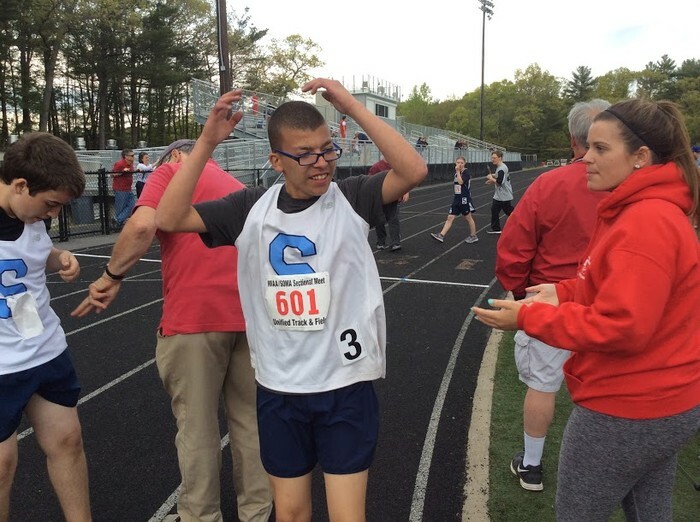 Seekonk’s first ever Unified Track season ended this week with the team making the trip to Fitchburg State for the Massachusetts State Meet. 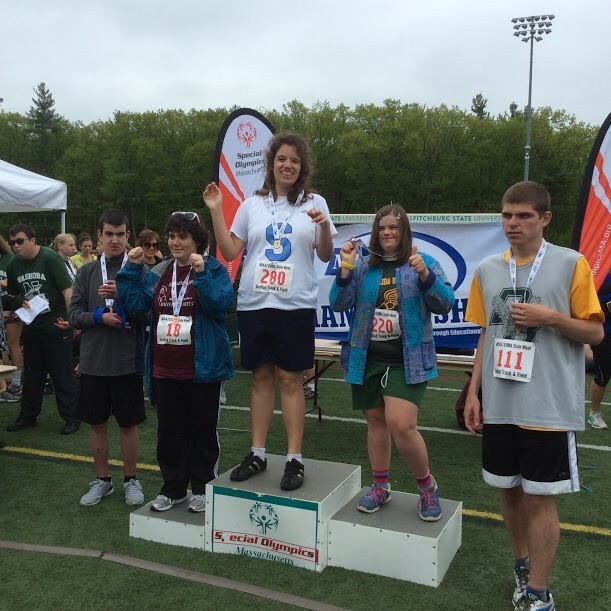 Congratulations to the following student-athletes who were medal winners: Olivia Palange, Leo Pettey, Kathleen Santos, David Abbott, Emily Balasco, Ashley Morgado and Dan Jensen.